For an eternity, I’ve dreamt about cooling off in a hamam, having real Turkish pide & shisha on a rooftop cafe, hot ballooning over the caves of Cappadocia, having Turkish tea with the locals, catching some sun on the Medditeranian coast, placing one foot in Europe & the other in Asia, traversing the Black Sea coast, and falling in love with the half ancient half modern city of Istanbul. The closest I’ve been to Turkey so far is Arab street in Singapore, and I’m pretty sure that even with its rustic ambiance, carpet shops, and late night shisha cafes, it doesn’t come close. 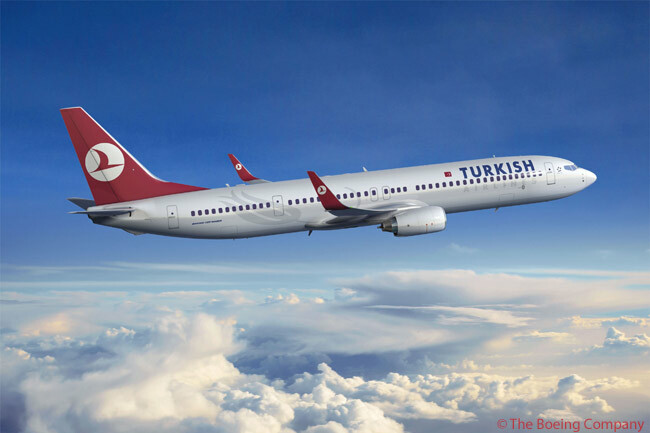 Luckily for me, the universe has conspired yet again to grant my travel wishes, and this time it has manifested itself in the form of Turkey’s national carrier, Turkish Airlines! That’s right, I’m going to Turkey on a round trip sponsored by Turkish airlines. The awesome people at the awesome airlines held an awesome Twitter contest and with my awesome answers (I assume), I won this awesome prize. They have many more contests & deals lined up, if you want to try your luck too. You are following them, aren’t you? It wasn’t all that simple. It involved hours of hope & hopelessness. It involved brooding over my own answers and those of others. It involved stalking Turkish Airlines every tweet. It involved sitting up in the middle of the night, wondering what if I won, followed by a dejecting analysis of my chances. I shut my twitter minutes before the result was announced; the anxiety was that high, that much was at stake. When I calmed myself to go back online, I was flooded with congratulatory tweets, and this! A week later, I have the tickets in my hand, a pretty cool Turkiye visa stamp on my passport (worth the grueling 2 hour wait at the embassy), and starry dreams of the middle east in my head. And if that isn’t enough awesomeness, Roomorama has offered to sponsor my first two nights stay in Istanbul. Incase you haven’t heard of them, Roomorama is an online marketplace of sorts, where travellers can connect with owners of rooms, apartments & houses for short term stays in all major cities; it’s a refreshing alternative to budget (and medium / high end) hotels and if you seek interaction with the local people like I do, you’ll probably love it. I’ll be staying with Turkish hosts in Istanbul, at what sounds like a quaint, charming heritage property close to the historic centre of the city. It took me two days of browsing on Roomorama to pick a place to stay, because each sounds more tempting than the next. So for the next 3 weeks, I’ll wander along the confluence of the east and west, treat my taste buds to (vegetarian) Turkish delicacies, pamper myself with Turkish baths, and ignite my love for the mountains along the Black Sea coast. Have you been or want to go to Turkey? What places would you want me to check out? Congratulations! Have a great time in Istanbul. It is the only part of Turkey I have been to and I loved it. Thanks Debra, I have a feeling I’m going to love Istanbul too, even though I’m not much of a fan of big cities! Wow, congratulations!!! Have a great time in Turkey. It would be very nice of you to post about such contests you find on web. I used to do that once. I think I am going to set a Google alert on travel contests. I can understand your emotions (dreaming, waiting and brainstorming about the entries). Thanks Vikas! I always tweet & facebook about these contests when I find them, and you’ve got to follow me to see that 😉 Most contests are too short to be indexed by Google, so not sure if that’ll help, but give it a try! Okk. I am following you on FB but it has been only a week. =) Will post as & when I come across one! Thanks Priyanka, I hope you get to visit it soon too 🙂 I’ll be writing all about it. PS: Turkish Airlines may be having another Twitter / Facebook contest next month, so keep your eyes glued to their Twitter & Facebook feeds! Wow! Congratulations Shivya! Go for it Girl! Have a great time there! 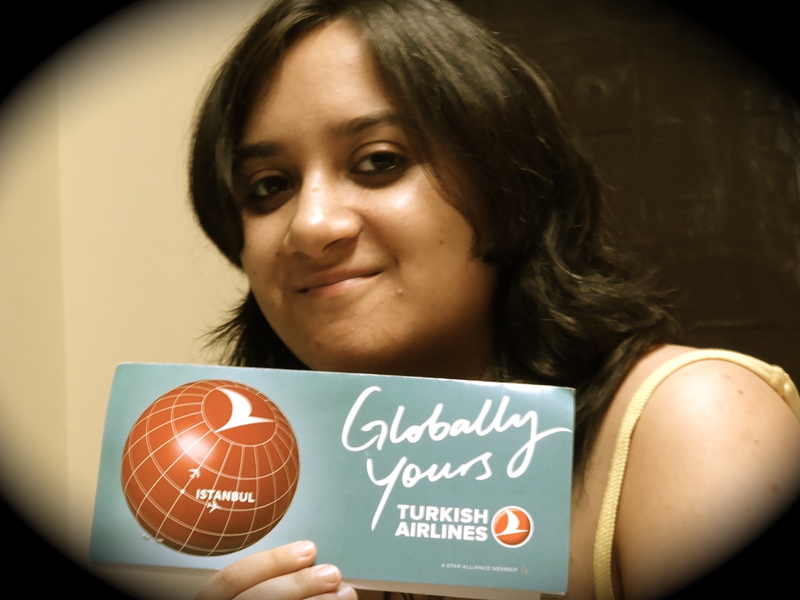 Turkey is one of the best countries I visited, and yes I loved turkish airlines too…Do visit Cappadocia, Pammukkale, Antalya along with Istanbul!! And do taste their veggie foods – they are amazing. And those turkish delights and yogurt! congratulations! Istanbul must indeed be a unique confluence of the ancient and modern. hope you are having a great time. If you are staying for long, won’t it be useful to use couchsurfing for handling accomodation cheap and speanding more moolah travelling around as well as living with les locals? Congratulations Shivya, There are many tourism places in turkey you can enjoy like me. Because it was the last trip of mine when i enjoyed Cappadocia, Pammukkale and more places. So enjoy the tour and best wishes. Your blog is cool !!! I like the way you express your experiances.I am very much interested in travelling to Turkey on coming december.I would like to know your suggestions for my travel at this month of the year and how safe is turkey ? Previous PostFirst Time to Europe? 10 Travel Tips to Get You Started. Next PostMy First Impressions of Turkey.